Book a private flight to Malibu, the seaside city located just north of Santa Monica in the northwest corner of Los Angeles County. Whether flying private into (KOXR, OXR) Oxnard Airport or (KCMA, CMA) Camarillo Airport, we can help arrange the right aircraft and flight itinerary that best suit your needs for your next trip to Malibu, California. Los Angeles Private Jets believes in providing private flyers with a one-on-one consultative service experience that exceeds every expectation. We understand that your time, privacy, flight preferences and most of all, safety, are all extremely important. Our Malibu Private Jets representatives are available for you by phone and email 24 hours a day, 7 days a week. When using our private aviation service, you can expect quick response times and an easy, hassle-free booking process. Request a quote or call us to arrange your private flight to Malibu, California. 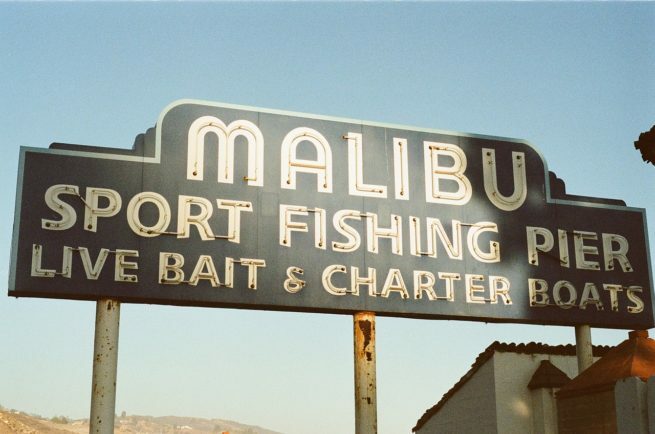 The iconic town of Malibu is a premier destination, and it lives up to its reputation as the perfect beach town. The Malibu area has a lot to offer luxury travelers, from pristine beaches and a climate to match, to a variety of hotels and resorts for luxury getaways, business trips and special events. Most of the top resort are located just southeast along Santa Monica and Marina del Ray, including The Ritz-Carlton, Marina del Ray. The following list of our top choices was created based on factors such as Los Angeles Private Jets passenger feedback, location, amenities and online reviews. Once you arrive in California via luxury private jet, our Malibu Private Jets brokers can also arrange ground transportation to/from the hotel of your choice. Being a picturesque town just outside of where the USA makes most of its movies has been quite beneficial to Malibu. An otherwise ordinary beach town, Malibu has been featured countless times in the media, and has a huge amount of VIP’s living there. Pepperdine University makes its home there and is worth checking out. It has benefited greatly from the affluent locals. Sitting right on the Pacific Ocean, Pepperdine is consistently rated as the most beautiful college campus in the United States. Other than driving through and looking at the houses of famous people, you can also see some of the best surfers in the world vying for waves at Malibu Lagoon. Continuing within Ventura county we have Thousand Oaks, an almost entirely residential area. Thousand Oaks started out as a “perfect city”; having been planned by Janss Investment Company, it was meant to attract families. Now it stands as an affluent community with several beautiful parks, bike trails, and acre after acre of hiking. Simi Valley is also in Ventura County, and is centrally located so you can reach most major destinations in Southern California within an hour. Some of the driving distance options include Hollywood, the Santa Monica Pier, and Disneyland. If you don’t feel like driving, then there are several bike paths and equestrian trails frequented by residents of Simi Valley. Check out more of our recommendations after your private flight to Malibu, California. Located centrally in Ventura County, Ventura has the feel of 2 different cities combined. Ventura is a pretty old town, and a lot of the buildings date back to the 1800s. This provides a stark contrast between the new development that has been running rampant over the past couple decades. Now old sits next to new, and it only adds to the charm of this beautiful city. One of the biggest draws to Ventura is the exceptional thrift shopping to be done in the area. Of course there are also the more upscale store if you aren’t into explore-shopping. We can arrange your flight to land at (SZP) Santa Paula Airport, located just outside of the central business district in Santa Paula, a city within Ventura County. After your flight arrives at Santa Paula Airport, we can arrange ground transportation to stand by for your arrival. Oxnard is located along the coast of Southern California and is part of Ventura County. It’s current population is 203,585, so it’s the most populous city in the Oxnard-Thousand Oaks-Ventura-CA Metropolitan Area. It’s absolutely one of the wealthiest cities in the United States, and the average Oxnard resident grosses well above the national average. Oxnard is also one of the safest cities in the United States. Fly into (OXR) Oxnard Airport next time you visit the Oxnard area by letting our team arrange your flight. Booking a private flight allows you to skip the long lines at security checkpoints and baggage claims. Many times, you’re able to pull your vehicle directly up to your private aircraft and board. Call or request a quote to Oxnard and discover all of the benefits private aviation has to offer. You’ll find Camarillo nicely situated near Old Town in Ventura County. The San Fernando Valley lies to the south, while the picturesque San Luis Obispo sits due north. Most people drive in Camarillo, as the public transportation can be a bit shoddy. You can get there by taking the 101 freeway, which runs directly through the town. You can also fly into (CMA) Camarillo Airport, which is a prominent general aviation hub in the area. Booking a private aircraft allows you to fly into 10x the number of airports compared to commercial flights. Get closer to your destination around Malibu by booking your next flight with Malibu Private Jets. Los Angeles Private Jets utilizes the following airports to fly clients privately to/from Malibu, Oxnard, Camarillo and neighboring areas of Southern California. Request a Quote or give us a call at 1-888-987-5387 to speak with one of our Malibu Private Jets agents for your next luxury vacation, business trip, or special event.